Corollary: Losing leave is for losers. Second Corollary: Vacations are vacations for your co-workers too. It is tough getting away sometimes - especially if you are a dual-career family with active kids. Especially if there is one of those ridiculous (in my opinion) rules about coverage when you are in a leadership position. 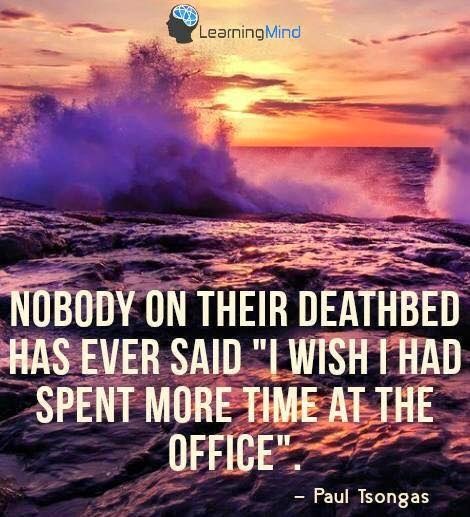 But you need time away to be more effective at whatever you do - parent, spouse, officer, executive, etc. And your organization, unit, family, etc., needs to know they can survive on their own, even for a short while, without you. Distance gives you all perspective. For my family, getting away as a family unit is good for us all. A chance to connect with less distractions, and a chance to get away from the hubbub. As my kids grow into adults these will be precious moments. Just like time I got to spend with my parents on many adventures. You don't have to spend lots of money or go very far, but please, go!